The other day I noted a persistent overoptimism regarding manufacturers. Since then, I have seen a couple articles regarding overoptimism at the Fed and overoptimism in trucking. Of course, there is also persistent overoptimism about earnings growth and stock market expectations. 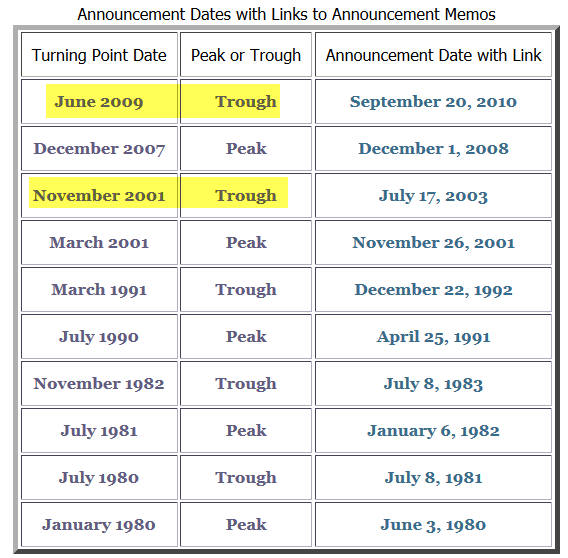 The track record on recessions is perfect. The Fed never sees them coming. Let's investigate the overoptimism phenomena starting with trucking. SupplyChain247 asks Is the U.S. Trucking Industry Entering a Profit-Killing Era of Overcapacity? As surface transportation’s peak period ends for the year, and trucking eyes the traditionally slowest time for the industry as first quarter 2016, economic signals are, at best, mixed. The Institute for Supply Management’s index of factory activity slipped to 50.1 in October from 50.2 in September. The figures barely signal growth, which is any reading above 50. Third-quarter Gross Domestic Product grew at a 1.5 percent annual rate in the third quarter, far below the 3.9 percent pace in the April-June quarter. ABF Freight, the seventh-largest LTL carrier reported a decline in revenues due to lower fuel surcharges and lower tonnage levels, even though shipments rose year over year. But ABF showed “great cost discipline,” Stifel analyst David Ross noted. UPS Freight, the fifth-largest LTL, reported tonnage off 10 percent (matching the record decline reported in the 2009 3Q during the depth of the Great Recession) and shipments down 5 percent year over year (the worst drop since 2008 fourth quarter). That has spread to the truckload side as well. Heartland Express, the 12th-largest TL, reported a whopping 35 percent drop in third quarter earnings year of year. Operating revenue decreased 15.9 percent to $182.5 million. Revenue, excluding fuel surcharge revenue, decreased less precipitously, by 8.1 percent to $160.7 million. Bob Costello, chief economist for the American Trucking Associations, recently told an industry gathering that the third quarter economic slowdown was merely a blip on the radar, fueled by manufacturers and retailers burning off excess inventory from earlier in the year. “My personal belief is the trucking industry needs to realize production of goods will have ups and downs,” Satish Jindel, principal of SJ Consulting, which closely tracks industry pricing, told Logistics Management. “They should not build capacity built on rosy outlooks coming from economists and other organizations that have a bias to be optimistic. So far, the industry does not appear to be doing that. Sales of Class 8 heavy trucks are on pace for one of the best years in history - around 260,000 units in North America. That is a warning sign of future overcapacity, Jindel said. It's interesting that Jindel noted the bias of optimism. I was just looking at a San Francisco Fed study on Persistent Overoptimism about Economic Growth. 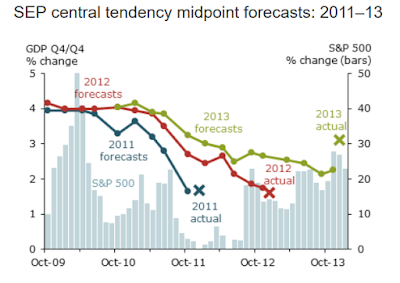 The SEP growth forecast for 2008 never turned negative. At the time, the mainstream view was that the U.S. economy would avoid a recession despite the ongoing housing market turmoil. The actual growth rate for 2008 turned out to be –2.8%—the largest annual decline since 1946. 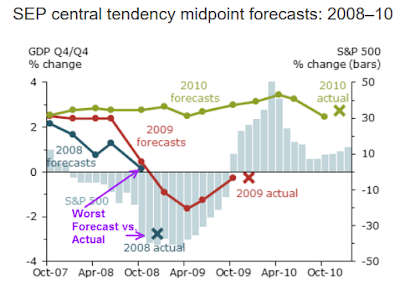 The SEP growth forecast for 2009 did not turn negative until January 2009. 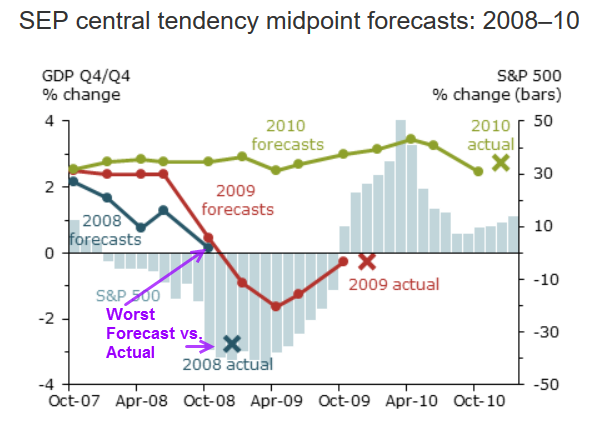 This was the first forecast released after the Lehman Brothers bankruptcy in September 2008. The 2009 growth forecast reached a low point of –1.7% in April 2009 but was later revised up, coinciding with a rebound in stock prices. The actual growth rate for 2009 was –0.24%. A notable feature of the SEP growth forecasts for 2011 through 2013 are the extremely high starting values—around 4% or higher. The last period of multiyear growth over 4% in the U.S. economy was during the tech-bubble years of 1996–99. The overoptimistic SEP growth forecasts for 2011 through 2013 were eventually cut in half, each ending around 2%. The actual growth rates for those years were 1.7%, 1.6%, and 3.1%. 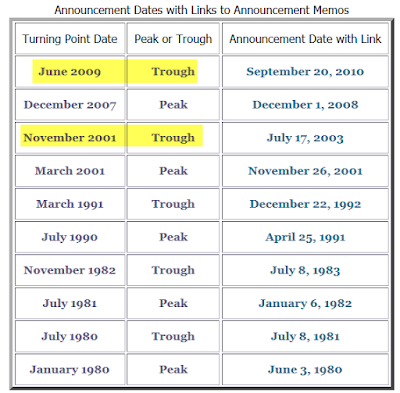 In a cross-country study of private-sector forecasts from 1989 to 1998, Loungani (2001) finds that “the record of failure to predict recessions is virtually unblemished.” He also finds that forecast revisions in one direction tend to be followed by further revisions in the same direction and that one-year-ahead growth forecasts are typically too optimistic. A final explanation for the pattern of SEP growth forecasts may be linked to a natural human tendency to assume that recent trends will continue. Research shows that people tend to use simple forecast rules that extrapolate from recent data (Williams 2013). For example, one could forecast four-quarter growth over the coming year using only the most recent observation of quarterly growth in the preceding year. The backward-looking nature of this forecasting rule would help explain the failure to predict recessions. Undoubtedly, economists are among the most perpetually overoptimistic persons on the planet. But it's not just economists. I commented on manufacturers' optimism on Wednesday in Tracking Manufacturing's Perpetual Overoptimism. 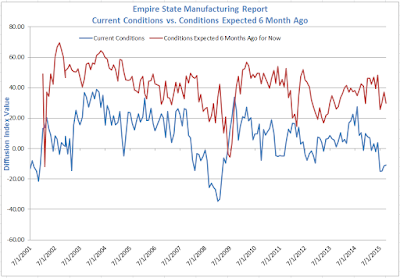 I took the New York Fed regional data which compares current condition to future expectations six months from now, then shifted the expectations forward by six months. Here is the result of my mini-study on optimism. By the way, I expect another "Peak" line at the top of the above table sometime reasonably soon. The Fed will be shocked when it happens. It has a perfect track record of missing recessions.